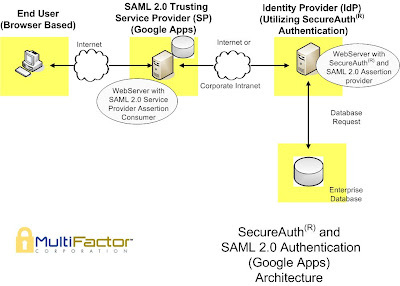 "SecureAuth® can be utilized to established trusted authentication into Google Apps." Google has offered enterprises a unique opportunity to reduce the IT cost via the offering of hosted applications, such as messaging, calendaring and document sharing. As with any hosted service, Google Apps introduces a new set of responsibilities associated with a secure establishment of identity to hosted applications. These are both very important concepts in todays regulated IT market. For regulatory measure such as Gramm-Leach-Bliley, PCI DSS and FFIEC, enterprises must not only be able to document that identities are securely retained and administrated – but often that the access to the resource is done is certifiable secure manner. This second regulatory function – is where MultiFactor SecureAuth can greatly help the enterprise. As stated, Google provides the ABILITY for enterprises to keep their own user credentials and to implement their own authentication – but the choice of the authentication tool – is up to the enterprise. 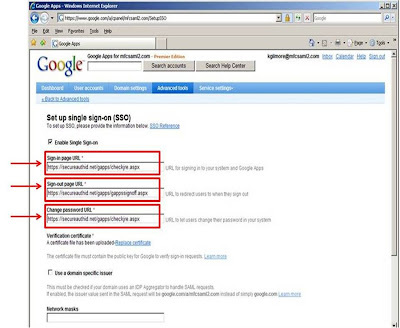 MultiFactor SecureAuth® for Google Apps is this solution. This last item is key. Because SecureAuth® connects to the enterprise user store the enterprise has the ability to retain identities “in-house” – and thus put in all the necessary administrative tools and practices in place to meet the relevant regulations (PCI DSS, GLB, FFIEC, etc.) In short, the enterprise keeps the user’s data in place – under “lock and key” – as if the application was in-house. 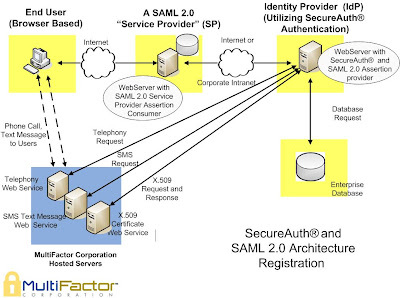 Because Google Apps has chosen to utilize SAML 2.0 for federation, the 2nd requirement is met. What is left to the enterprise is to insure that the authentication can create a secure SAML ticket and actually authenticates the user in secure manner. MultiFactor SecureAuth meets both of these requirements.